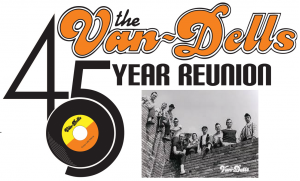 The Nation's #1 Rock & Roll Review, The Van-Dells celebrate 45 years of entertaining fans with two nights of special concerts. We've invited back all the Van-Dells, past and present, and the RSVPs are coming in. 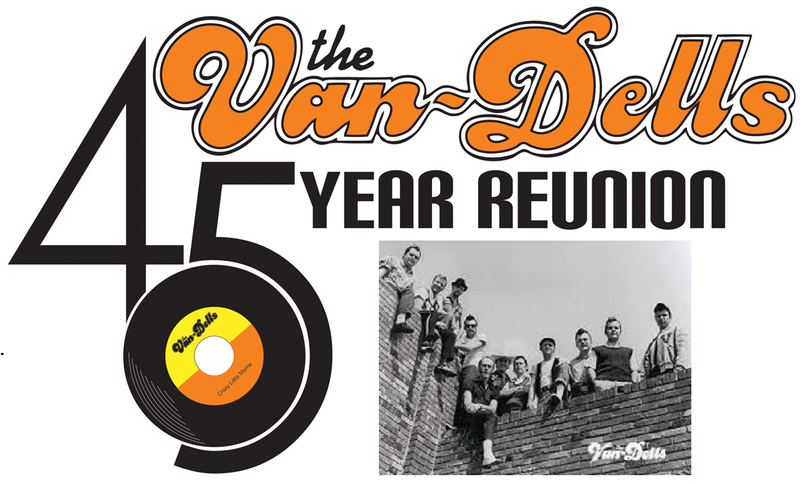 It stars Stacy "Duke" Todd, Mark Barnett and Steve "Moose"Ricks with returning favorites Glenn Bowles, Dave "Chumley" Brumley, Rick "Myron" Fretter, Jim "Fingers" Brooks, Grant "Smitty" Smith, Greg Hines, Kasey Todd, Kyle Todd & The Van-Dells Band. More to be announced! Order tickets above or by phone by calling 888-718-4253. For Hotel and more info visit Van-Dells.com All performers are scheduled to appear and subject to change.